Four Maine hospitals, including one in Bangor, will receive less funding from the federal Medicare program this year as a penalty for having high rates of infections and other patient complications, federal records show. The penalized hospitals are St. Joseph Hospital in Bangor, Northern Light A.R. Gould Hospital in Presque Isle, Central Maine Medical Center in Lewiston and York Hospital, according to the data. This is the first time in five years that St. Joseph has been penalized but the fourth year in a row that Central Maine Medical Center has seen the penalty. Three of the hospitals released statements Friday saying that they have made health and safety improvements that are not reflected in the new penalties, since they are based on data that was collected between 2015 and 2017. A St. Joseph spokesman did not immediately respond to a phone call seeking comment Friday. The four Maine hospitals cited for high rates of infections are among 800 nationwide that will be paid less by Medicare this year for those reasons. Another 10 Maine hospitals will see reduced Medicare payments because of high rates of patient readmissions. The number of hospitals cited for infections is the highest since the federal government five years ago launched the Hospital Acquired Conditions (HAC) Reduction Program, created by the Affordable Care Act. Under the program, 1,756 hospitals have been penalized at least once, a Kaiser Health News analysis found. The hospital industry has protested the HAC penalties, saying the program’s design creates an arbitrary cutoff for which institutions get punished and which do not. The American Hospital Association calculated that only about 41 percent of the 768 hospitals penalized in 2017 had HAC scores that were statistically significantly higher than hospitals not being penalized. In Maine, representatives from the affected hospitals said the recent penalties are based on old data and do not reflect recent improvements. “These government announcements often generate headlines, but don’t provide a complete picture of actual quality of care offered,” said Dr. John Alexander, Central Maine Medical Center’s chief quality officer. 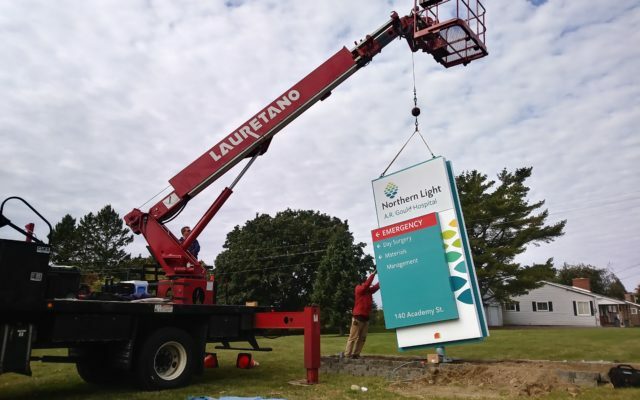 He cited a recent “A” grade the hospital received from the Leapfrog Group, which tracks hospital safety, along with other recent accreditations the hospital has received. He also said the hospital’s improvements have prevented a single central-line acquired bloodstream infection from happening in the last year. Medicare excludes from consideration a number of specialized hospitals: those serving children, veterans and psychiatric patients. Maryland hospitals are also exempted because the federal government gives that state leeway in how it pays hospitals. And more than 1,000 critical access hospitals, which are the only institutions in their area, are also excluded. BDN writer Charles Eichacker contributed to this report.